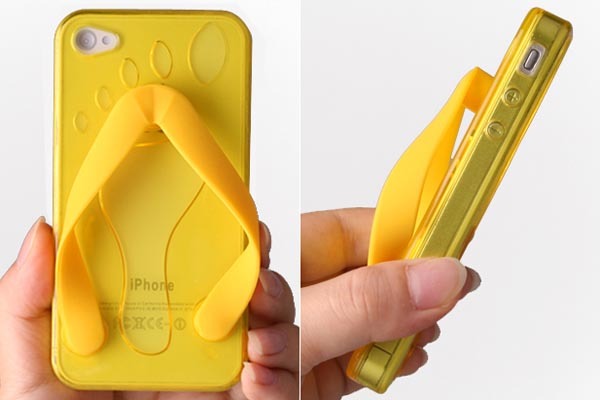 We’re not sure whether the special sandal fits for your feet, but it should be a nice idea to hold your iPhone 4. 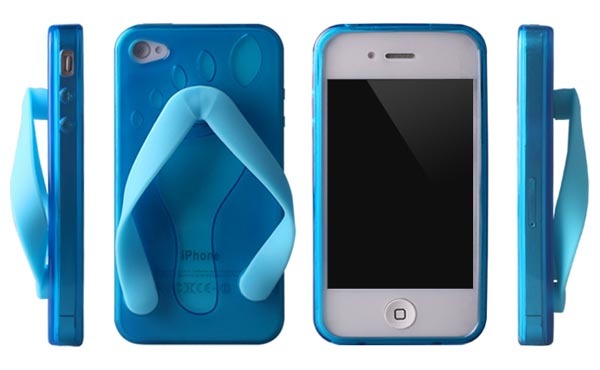 If you’re curious, let’s go on checking the sandal styled iPhone 4 case. 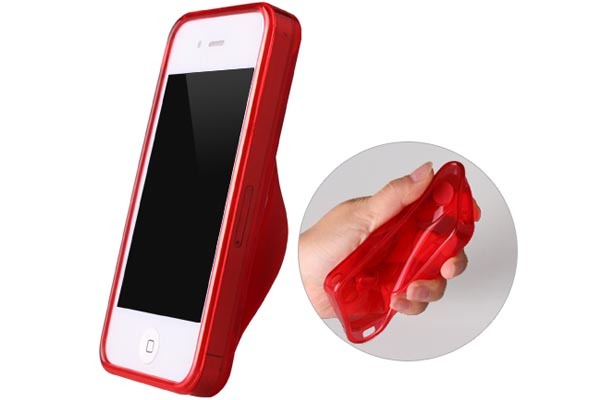 This is an interesting form-fitting protective case that measures 11.8 x 6 x 3cm, and designed for iPhone 4 and iPhone 4S. As we can see from the images, the iPhone 4S case is shaped as a beach sandal along with vibrant color. 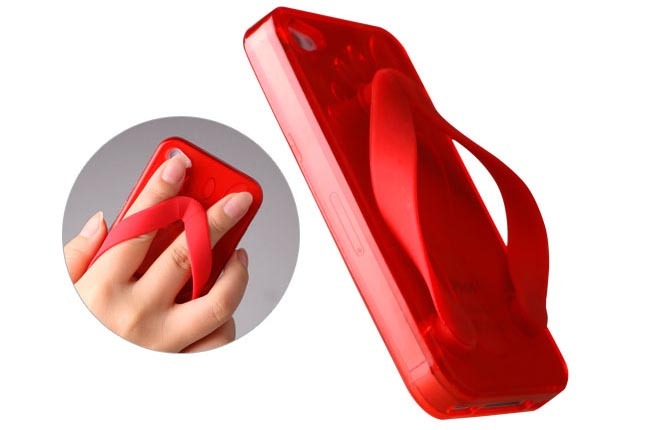 Of course, we believe you won’t worn your iPhone 4 on your foot, but apparently the special sandal case can offer you a solid and secure grip experience. 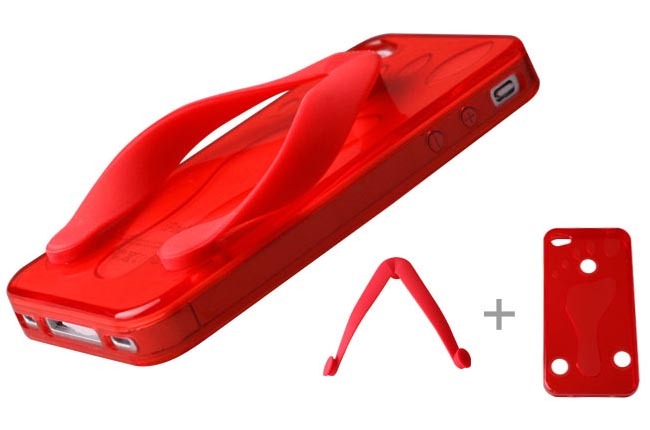 Moreover, the iPhone 4 case is made of silicone material in order to protect your iPhone 4 or 4S from bumps and scratches, and the custom cutouts allow you access to all buttons and functions of your iPhone 4. The sandal styled iPhone 4 case is available in 6 colors, each one is priced at $18.9 USD. If you’re interested, jump to Strapya World for more details. Additionally, if you need other options, you might like to check the a bathing beauty iPhone 4 case and more via “iPhone 4 case” tag.